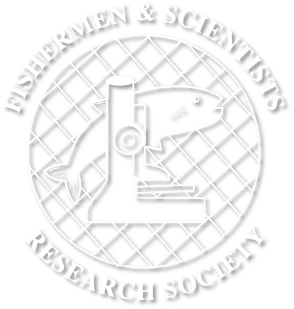 The Fishermen and Scientists Research Society (FSRS), a non-profit organization, is an active partnership between fishermen and scientists to establish and maintain a network of fishermen and scientific personnel that are concerned with the long-term sustainability of the marine fishing industry in the Atlantic Region. A partnership based on effective communication and common goals between fishermen, scientists and the general public facilitates collaborative research and the collection of relevant information that promotes the conservation of North Atlantic fisheries stocks. How is our partnership promoted? The fishermen actively participate in fisheries research, improving the process by making available to scientists information that only fishermen can obtain on a daily basis. Communication between FSRS members is encouraged, which promotes a network of knowledge and interest in the activities and research throughout the fisheries community. Fishermen participate in the development of a sound information base, which contributes to more effective resource management and conservation.